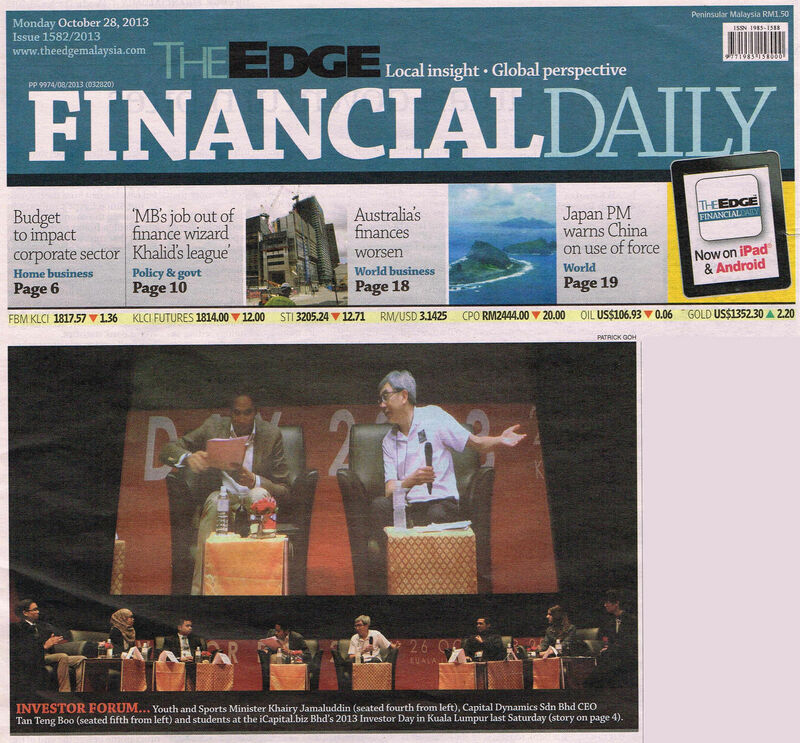 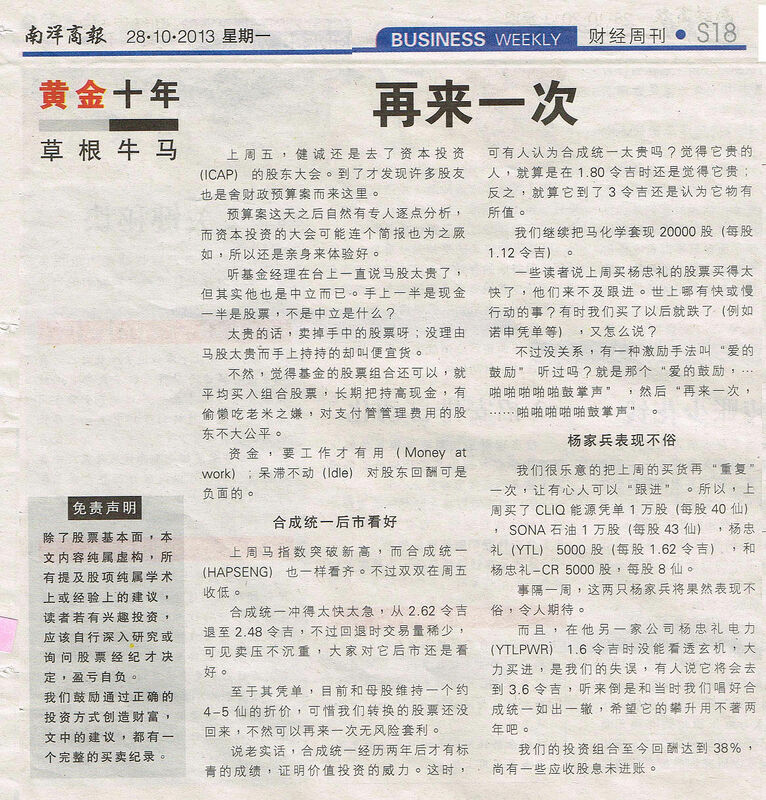 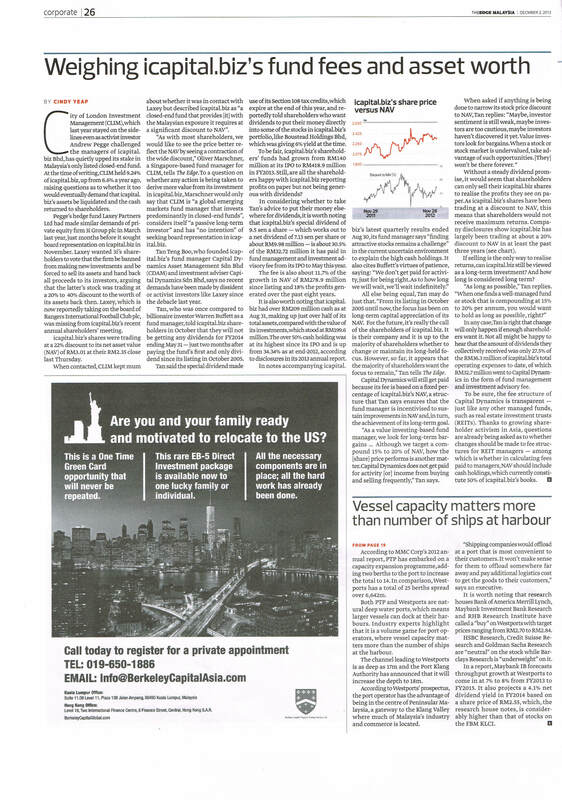 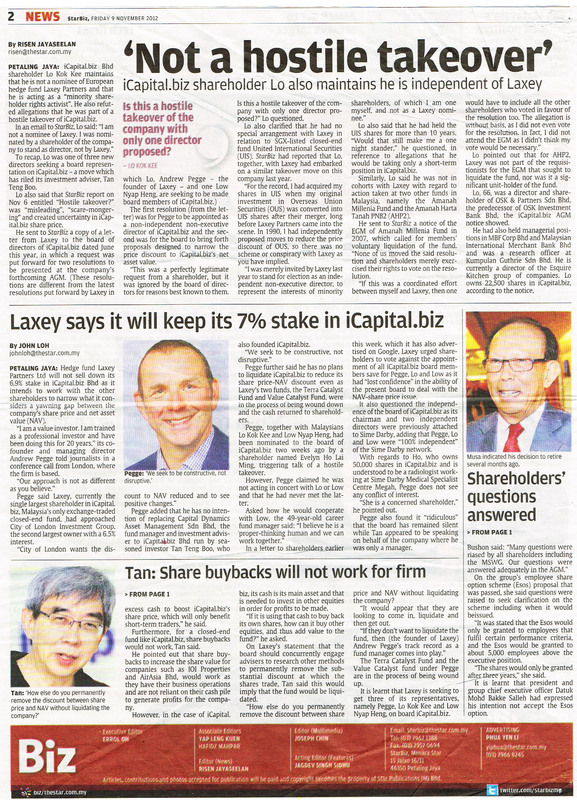 Over the years, Capital Dynamics has been featured in various media. 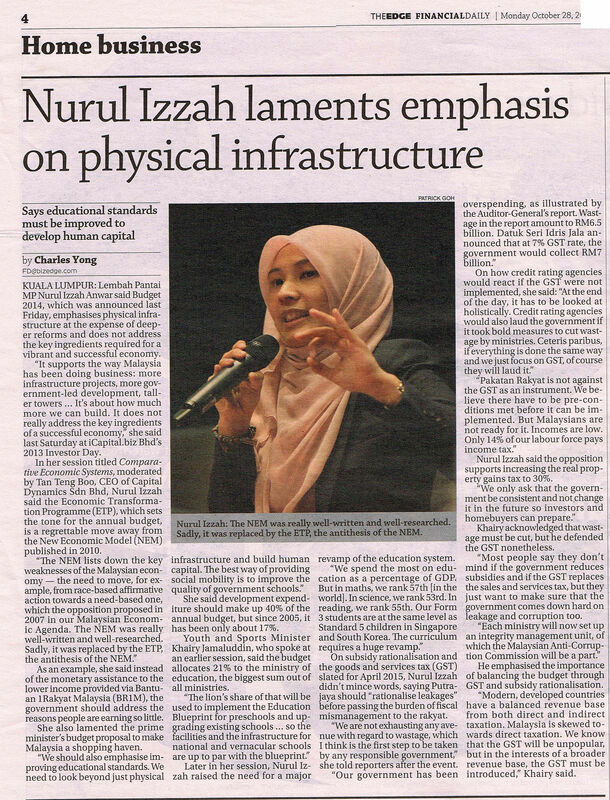 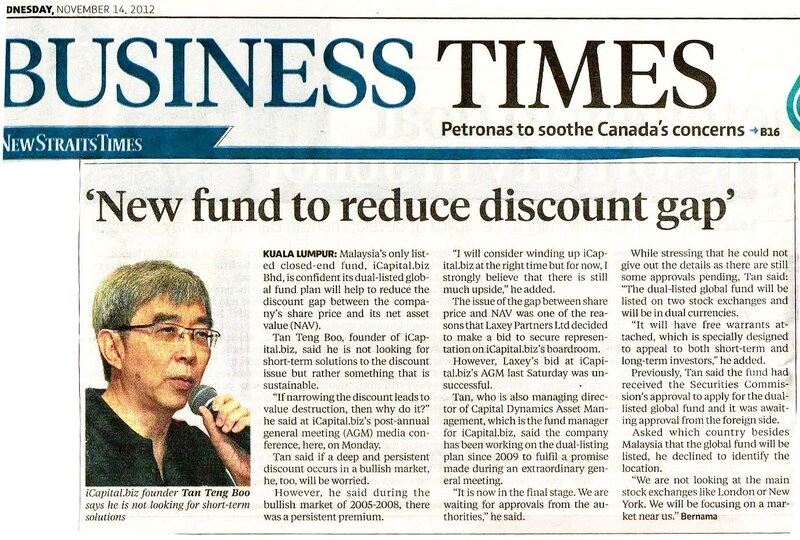 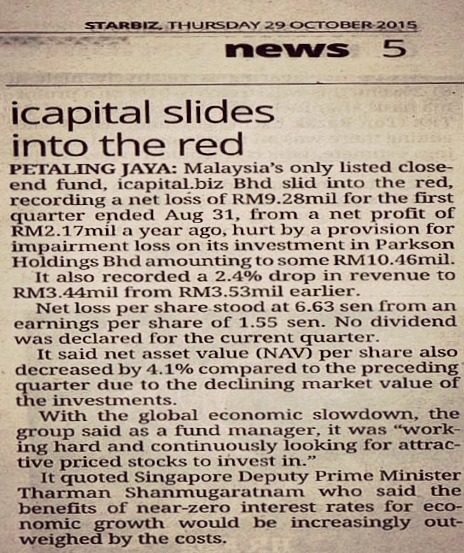 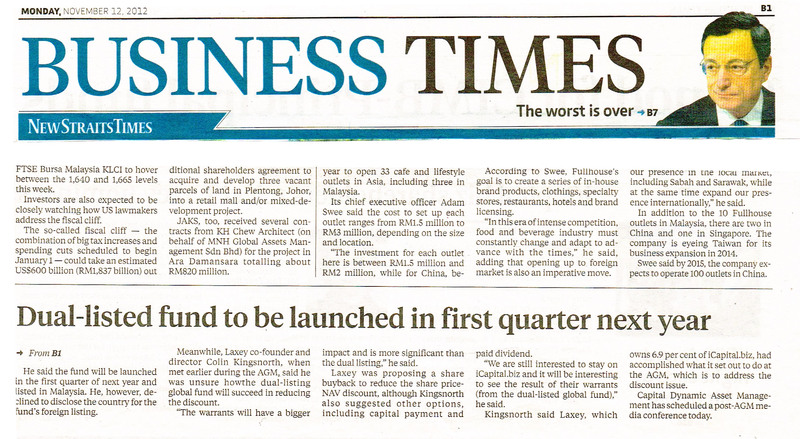 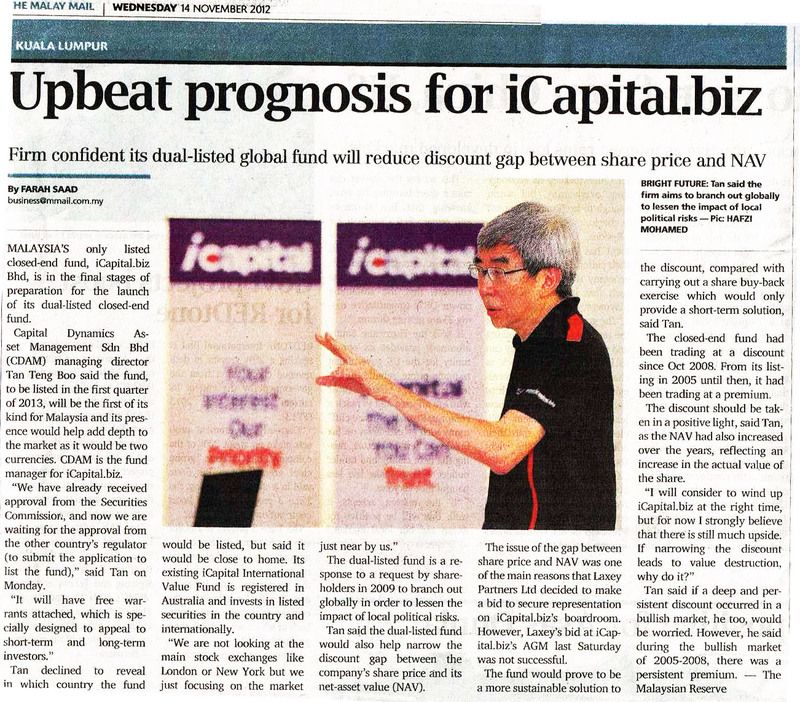 This section contains media coverage on the Capital Dynamics group of companies and its funds i Capital Global Fund, i Capital International Value Fund and the listed fund icapital.biz Berhad. 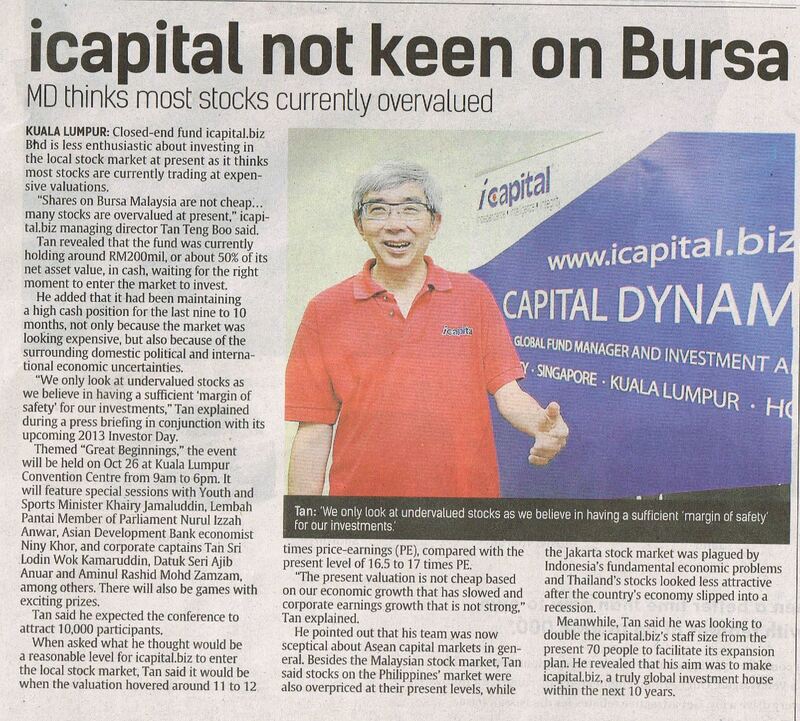 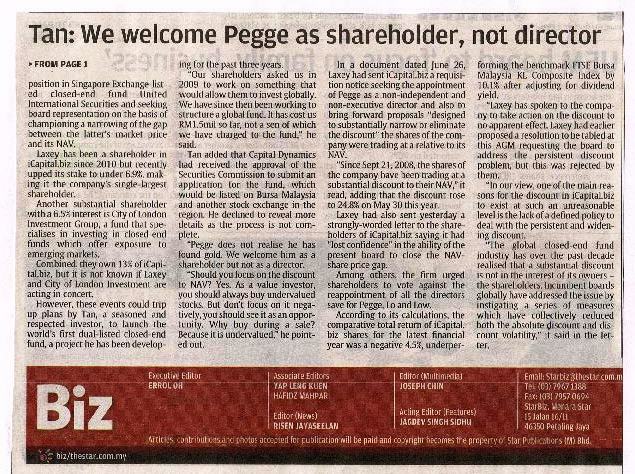 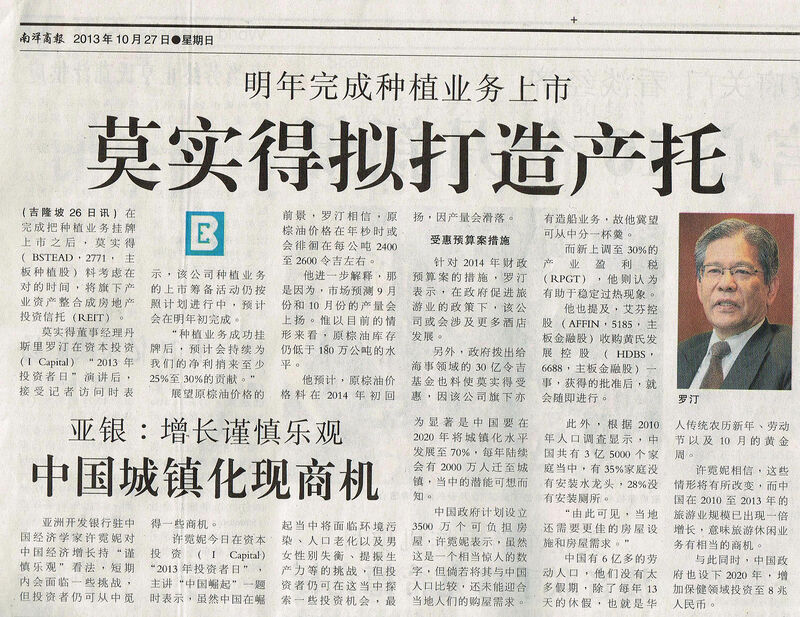 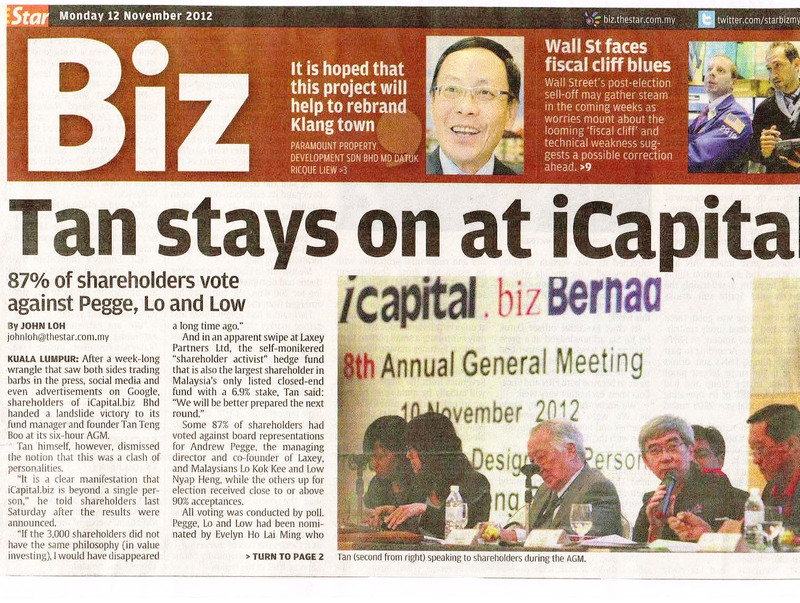 13/12/2014 Starbiz Deja-vu for icapital.biz? 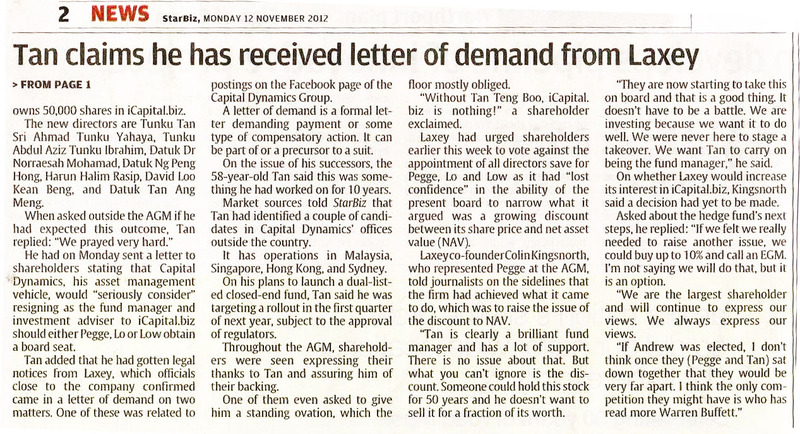 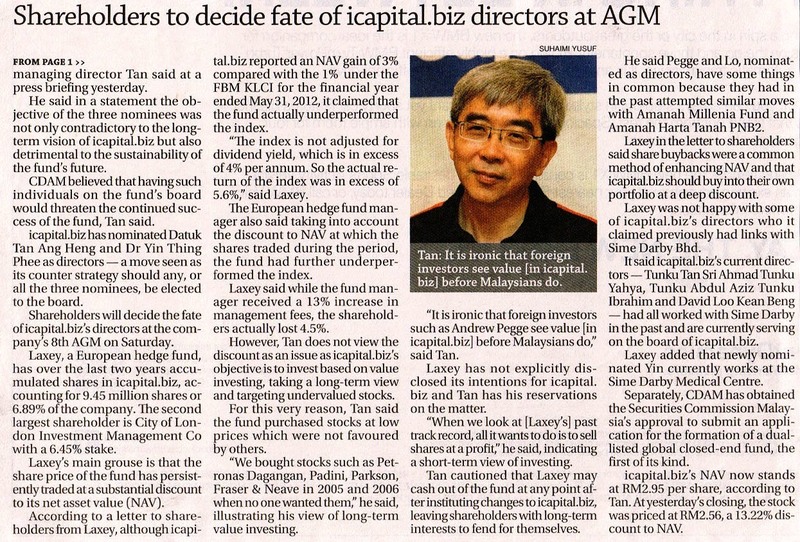 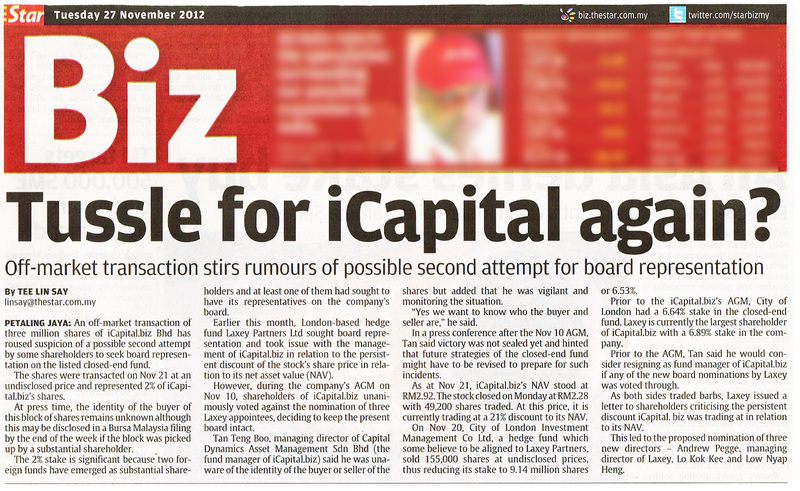 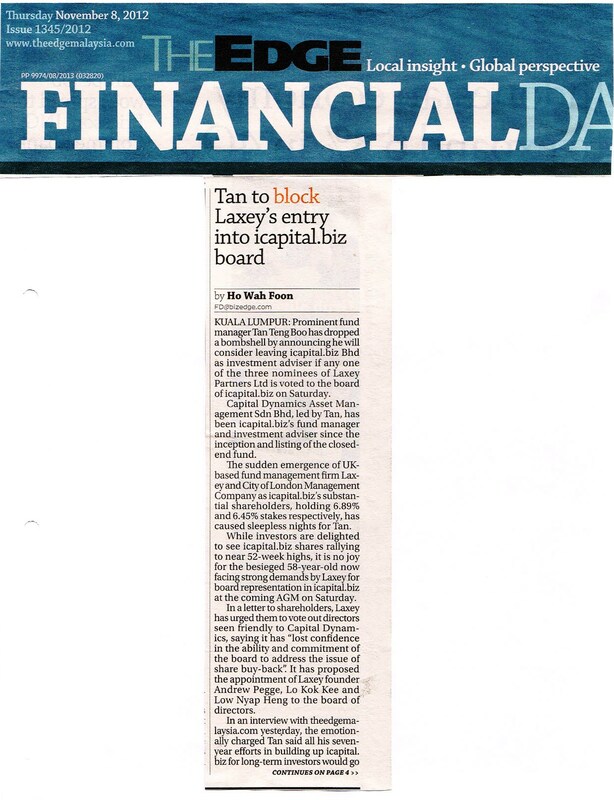 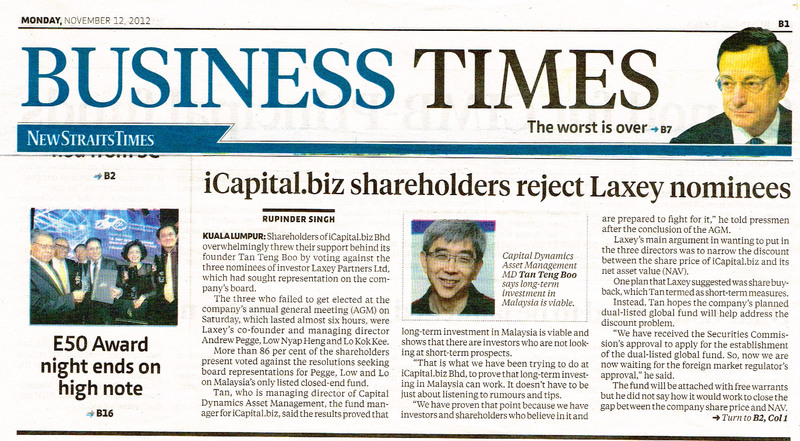 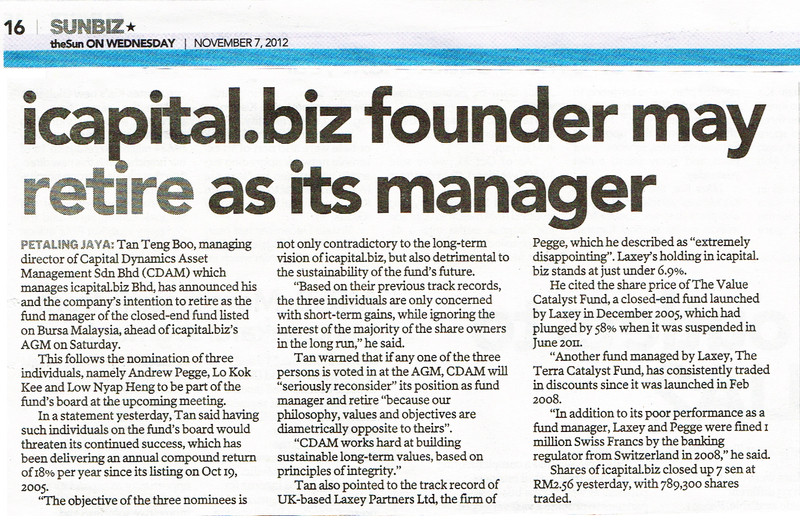 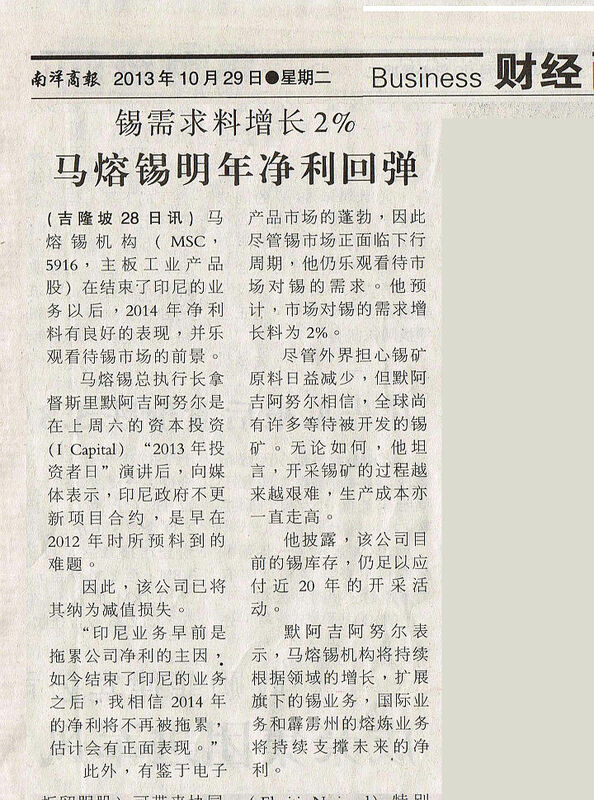 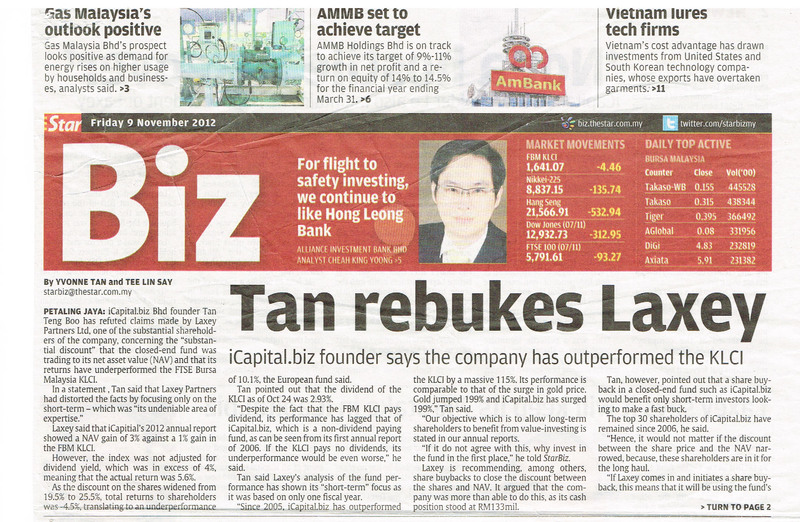 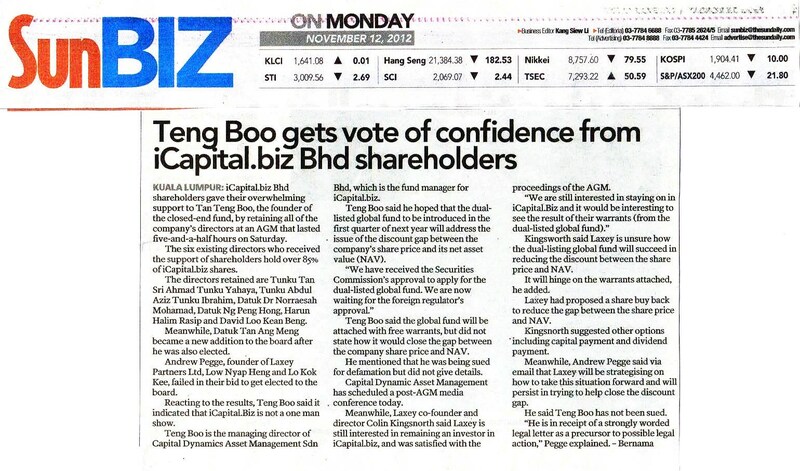 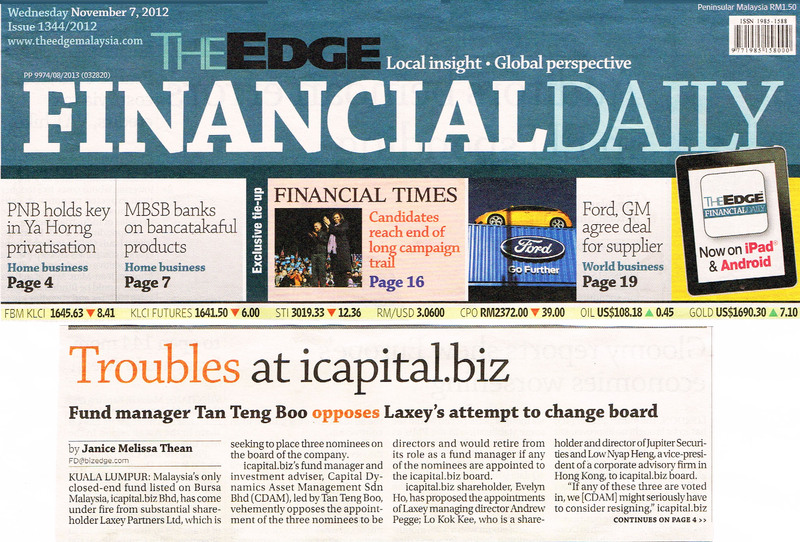 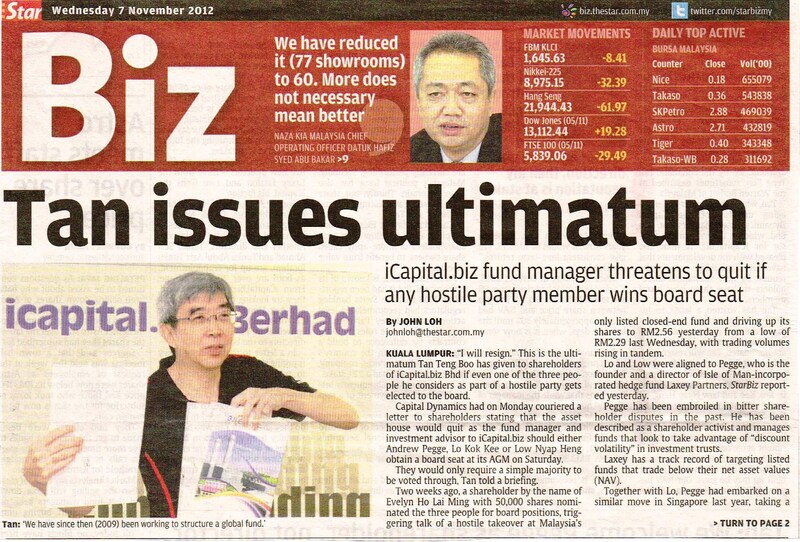 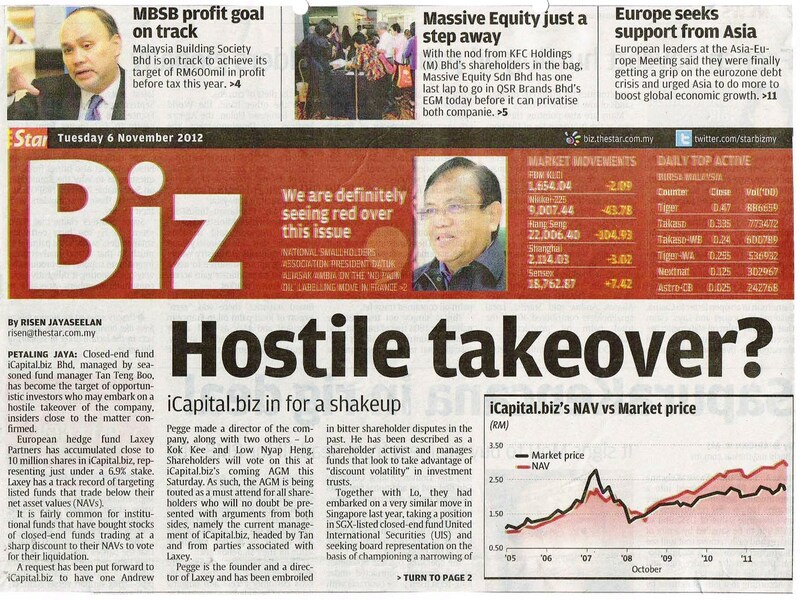 27/11/2012 The Star Tussle for icapital again? 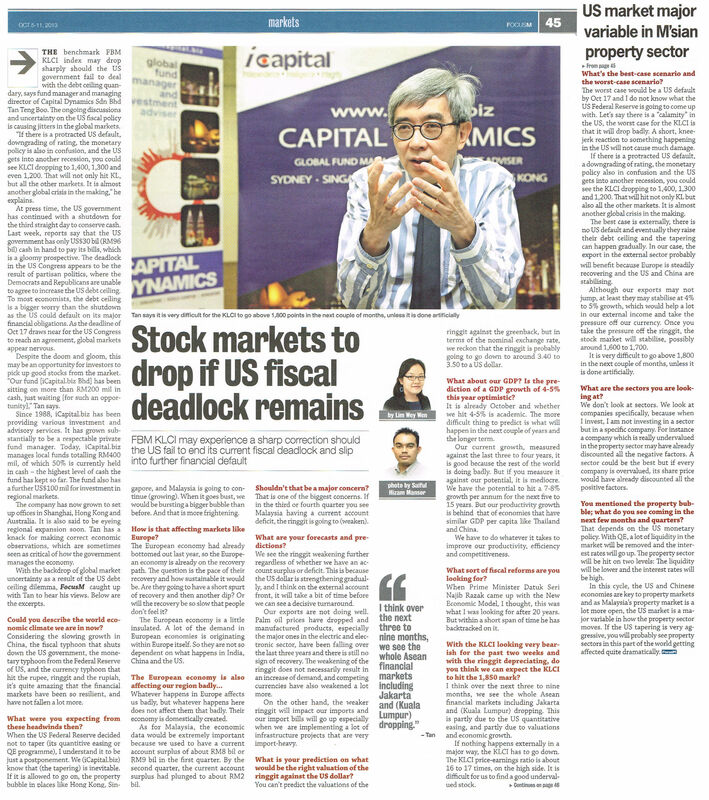 23/09/2008 BFM Media The Wall Street Carnage – Should We Cut and Run? 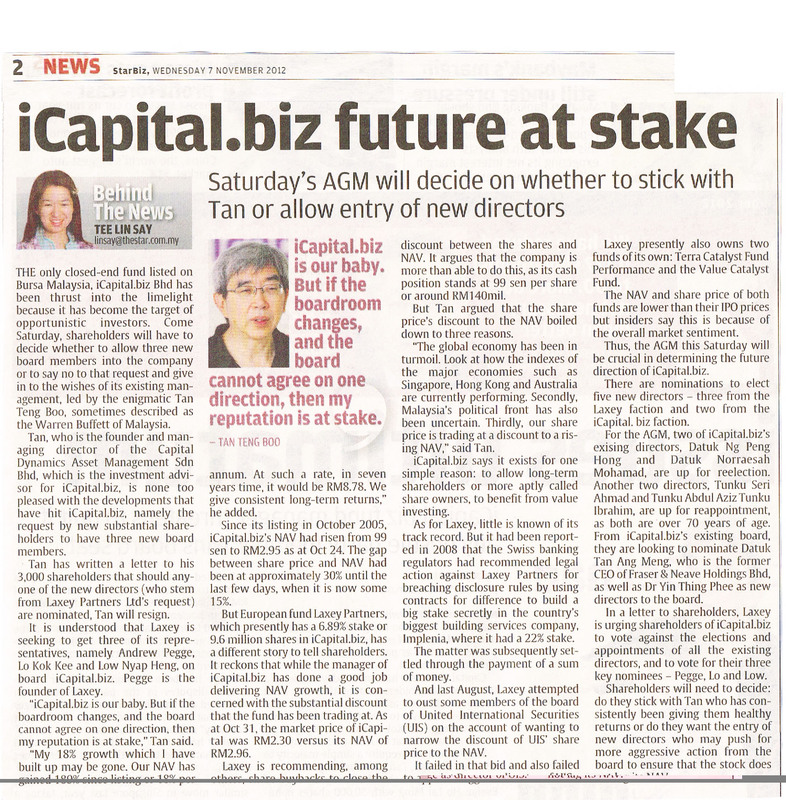 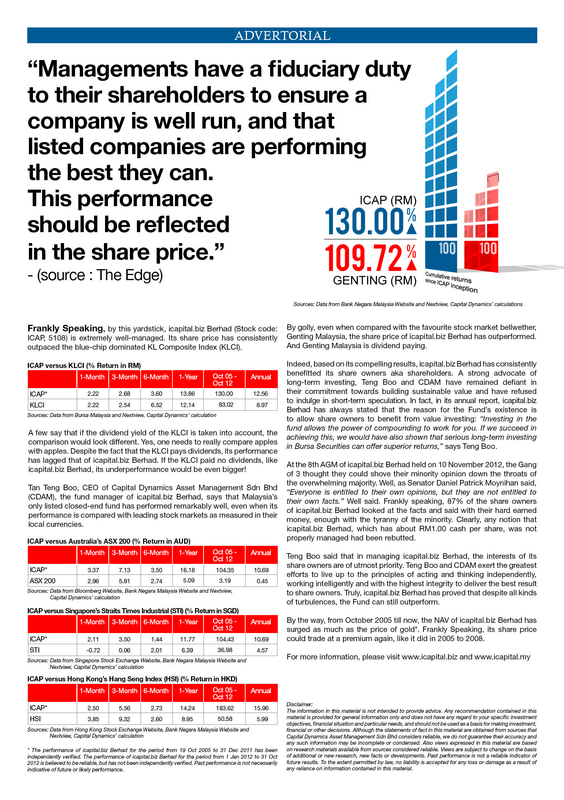 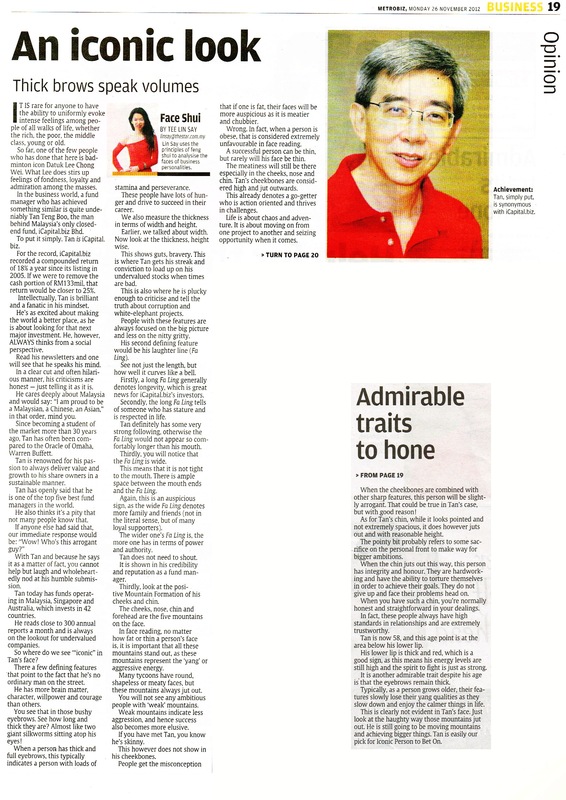 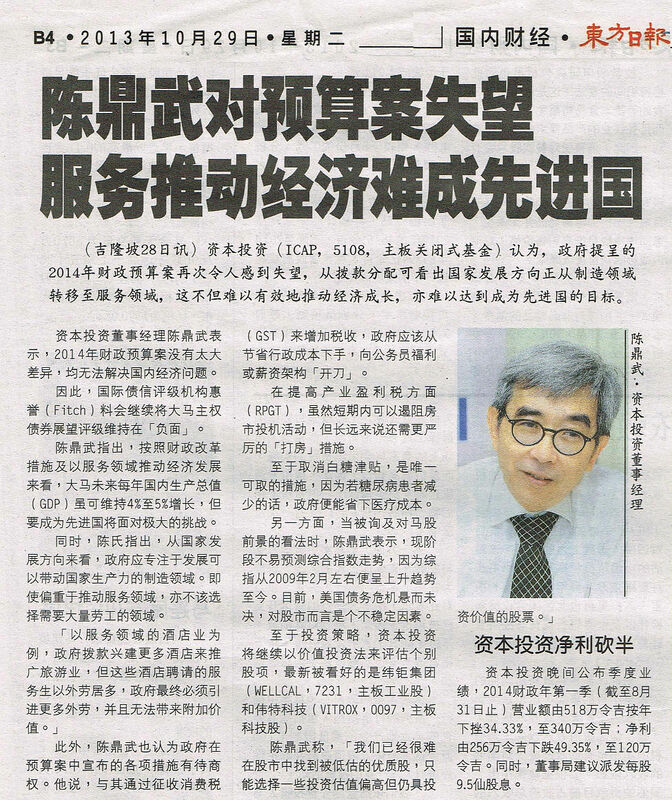 Copyright © 2019 Capital Dynamics (Singapore) Pte Ltd. All rights reserved.